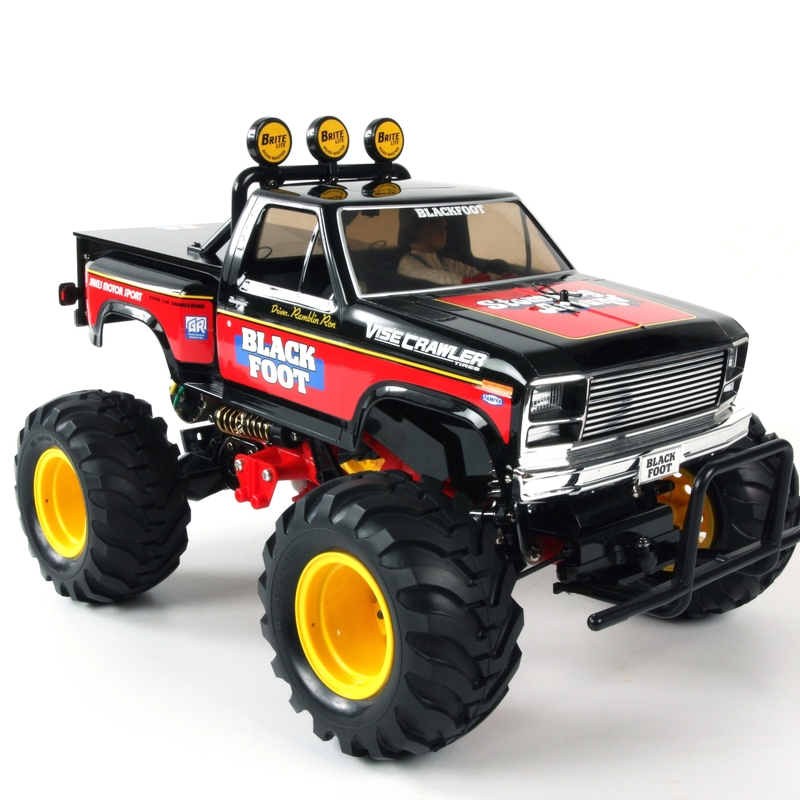 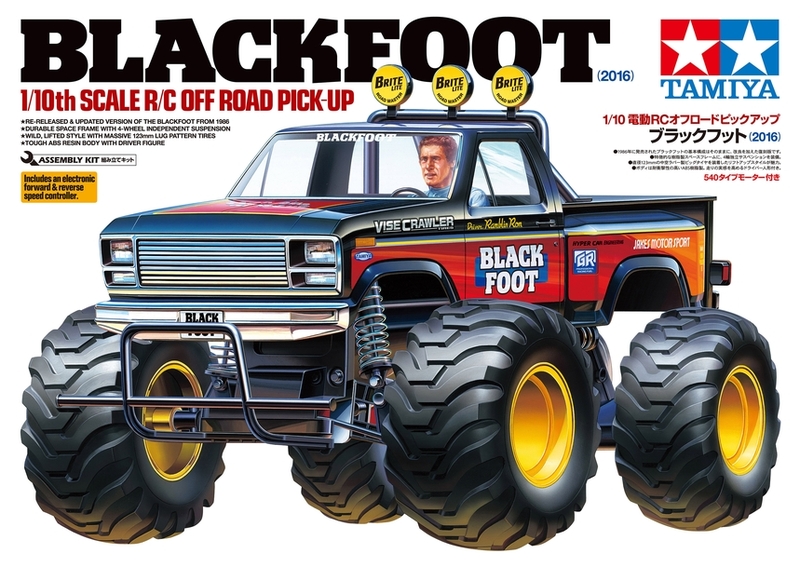 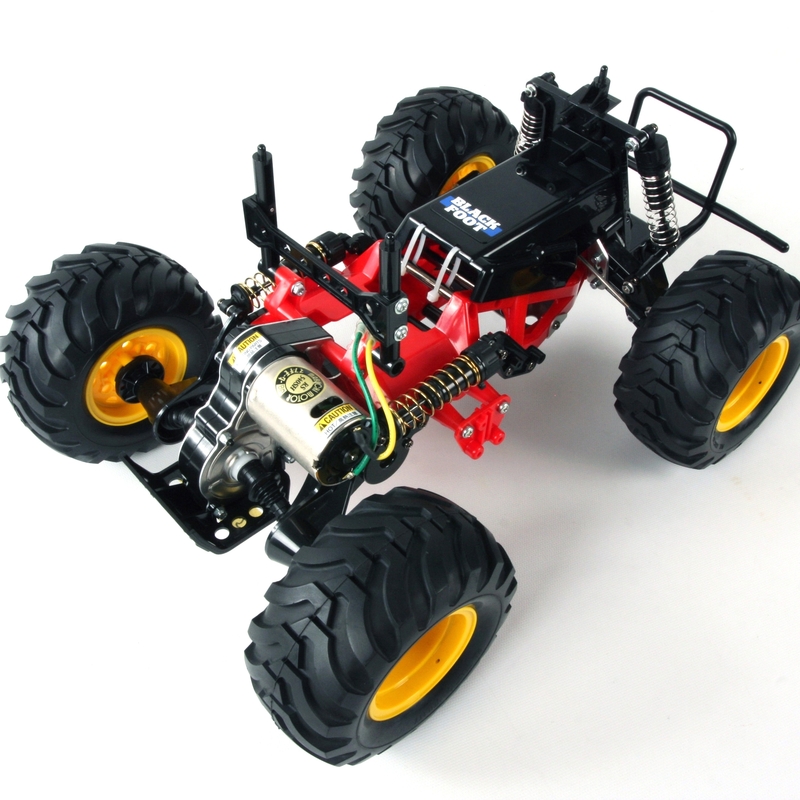 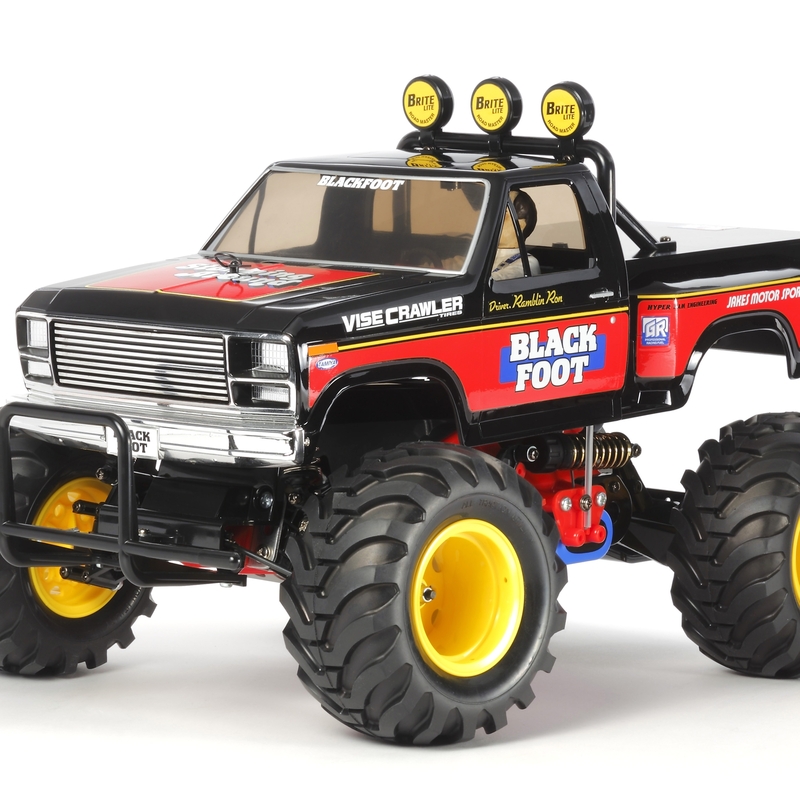 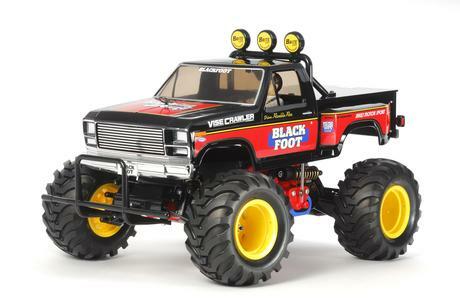 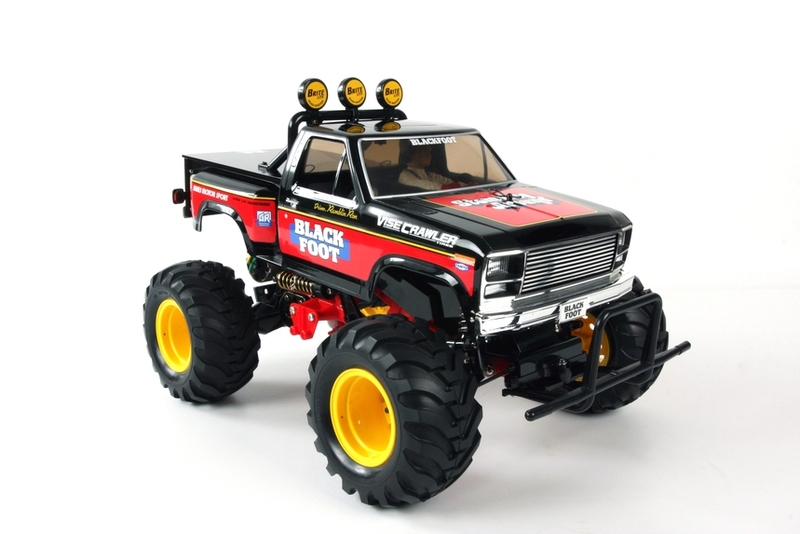 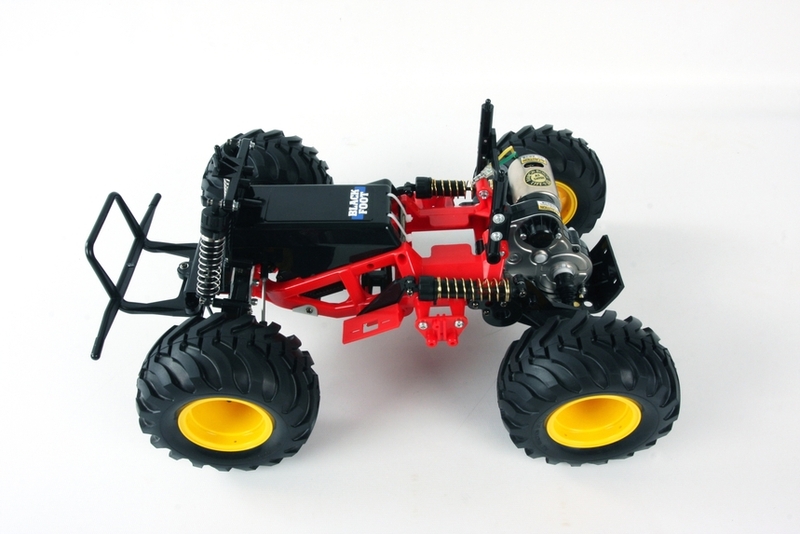 This re-release version of the Blackfoot assembly kit features a chassis with a number of updates while keeping largely to that used on the original off-road car released in 1986. It includes a highly realistic ABS body with roll bar and metal plated front grille parts. 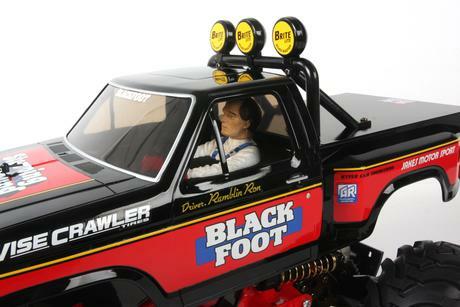 The kit also comes with colorful marking stickers and a driver figure. 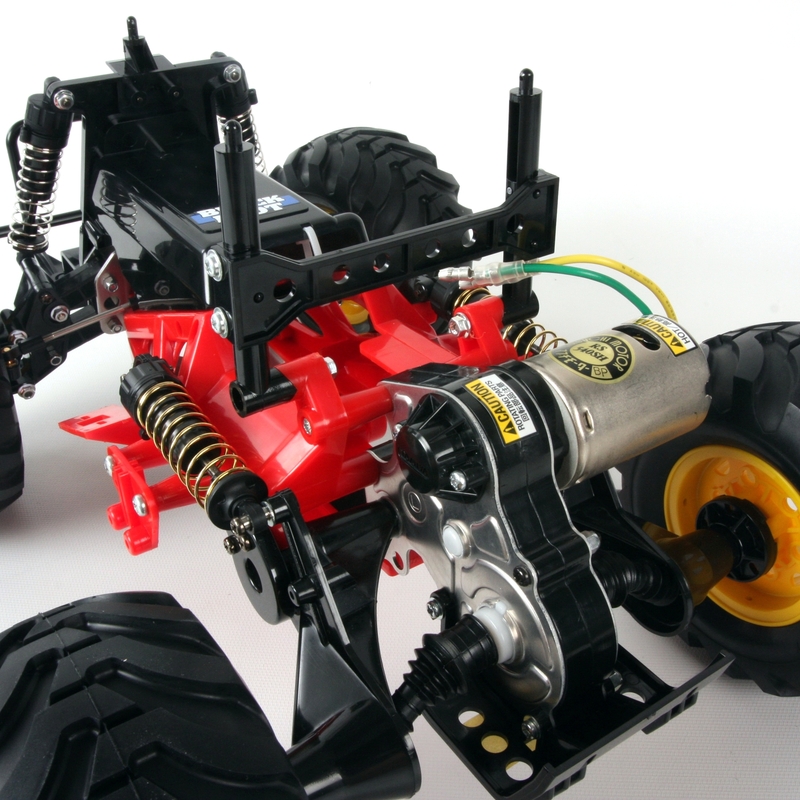 This hardy model's rear-wheel drive chassis is based around a durable red ABS space frame to withstand all-action off-road driving. 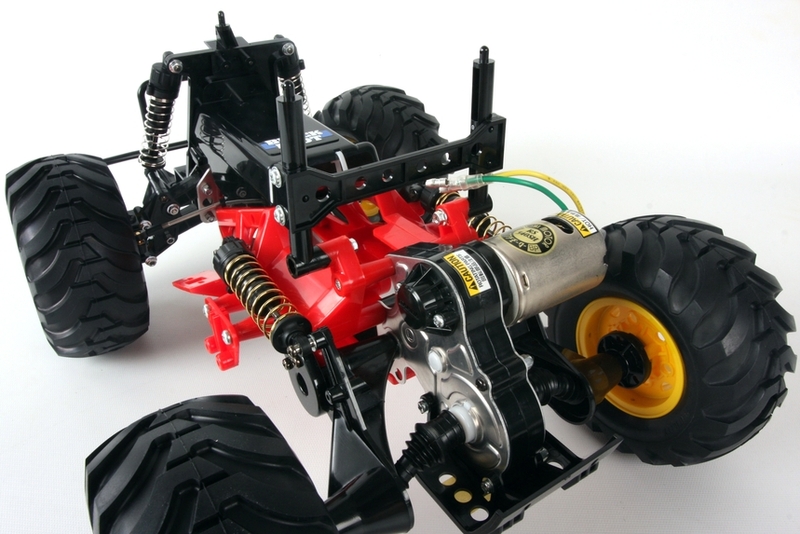 4-wheel independent suspension uses CVA oil dampers, and has double wishbone front and trailing arm rear setups. 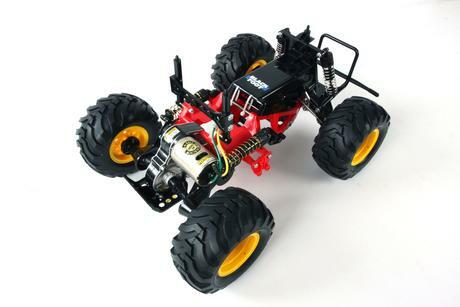 Superlative cushioning and grip are provided by 123mm-diameter, 60mm-width lug pattern tires on yellow wheels. 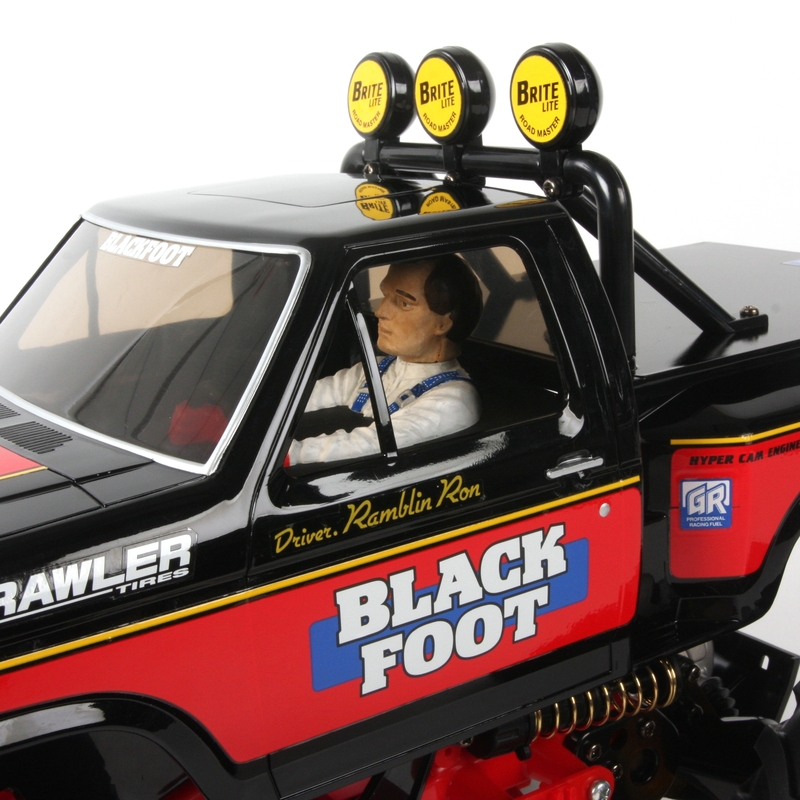 Efficient and durable universal shafts come with rubber boots. 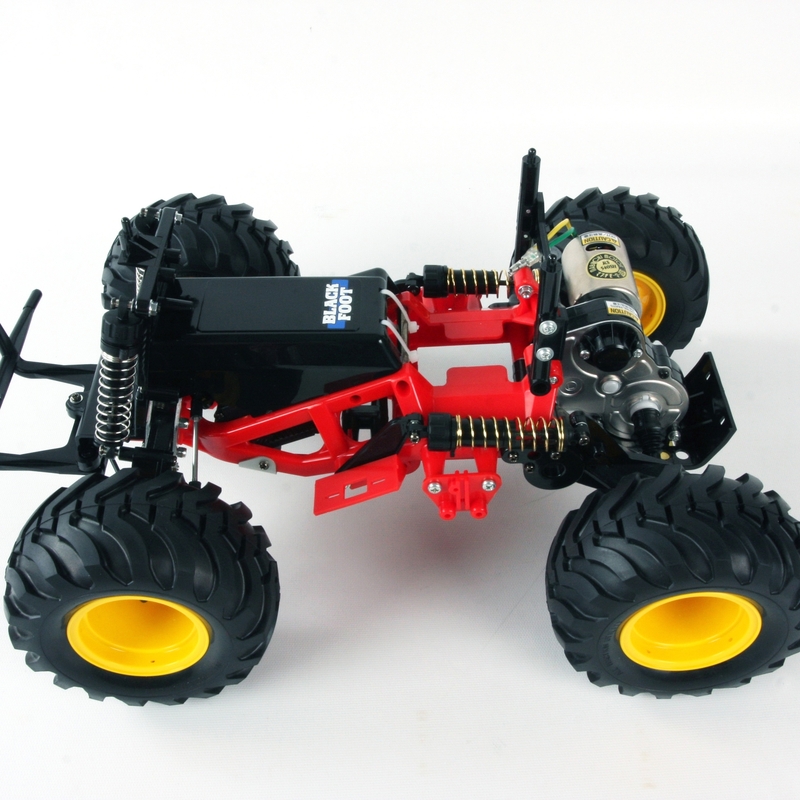 A sturdy sealed gearbox protects the differential inside from dust and dirt.